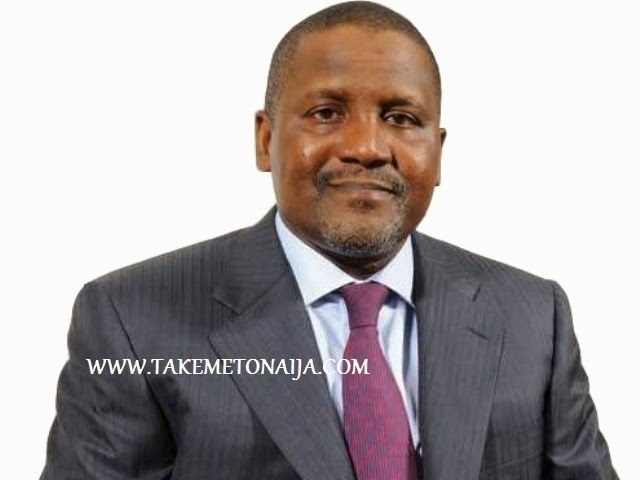 Aliko Dangote first ventured into business in 1977 at the age of 21 years. He started with a small capital given to him by his grandfather, Alhaji Sanusi Dantata. He was involved in trading in local commodities and building materials. Around June 1977, he moved into Lagos and continued trade in cement and commodities. Aliko Dangote’s business started to experience tremendous success and increase. This encouraged him to incorporate two companies in 1981. These and more companies to follow have developed into the Dangote Group. With a small token from his grandfather and a latter loan he took from same, he started a business. Now, he is the richest man in Africa, with net worth of $16.1 billion, as of March 2013, in Forbes’ estimates. At the time, Dangote was given the N500, 000 loan in 1978, which he could have easily used to chase cars, houses and whatever caught his fancy. Back then, a Mercedes Benz car was sold for N5,000 while a Volkswagen Beetle went for N900 to N1,000. But he didn’t do any of those, instead he invested the money and he was able to pay back the loan in six months, as against the originally thought three or four years. Dangote Group has its headquarters in the bursting metropolis of Lagos State, Nigeria in West Africa. The Group has earned an honest reputation for quality goods and services, cost leadership and efficiency of human resources. The Group is a very diverse conglomerate with very good revenue. Dangote Textiles and The Nigeria Textile Mills, which it recently acquired, produce over 120 000 meters of finished textiles on a daily basis. The Group has a ginnery in Kankawa, Katsina Statewith a capacity of 30 000 MT of seeded cotton annually. Recently, Aliko and other notable Nigerians announced their intention to float a private sector mega company with the name Transnational Corporation of Nigeria (TCN), which amongst other things may acquire government-owned refinery, operate strategic state-owned coys and pioneer status in Agriculture & Information Technology. In recognition of Aliko Dangote ’s contributions to the growth of the Nigerian economy and his philanthropy, he has been conferred with several awards including the prestigious ZIK Award for professional leadership (1992), the International Award of Sir Ahmadu Bello, the Cross River State Roll of Honour Award (2002) and the Thisday Newspapers Award for Chief Executive Officer of the Year (2005). He was conferred with the national honour of Officer of the Order of the Niger (OON) in 2000 and Commander of the Order of the Niger (CON) in 2005. Alhaji Aliko Dangote serves on the Boards of the National Council of Nigerian Vision, Mohammed Bello Endowment for Justice and Jurisprudence, Kano Foundation, the Nigerian Economic Summit Group, African Petroleum Plc, National Investment Promotion Council and the Heart of Africa (a management group on Nigeria Image Project), etc. Dangote played a prominent role in the funding of Obasanjo’s re-election campaign in 2003, to which he contributed over N200 million (US$2M). He gave N50 million (US$0.5M) to the National Mosque under the aegis of “Friends of Obasanjo and Atiku”, and contributed N200 million to the Presidential Library. These controversial gifts to members of the ruling People’s Democratic Party have contributed to concerns over continued graft despite highly-publicized anti-corruption drives during Obasanjo’s second term. On 23 May 2010, England’s Daily Mirror newspaper reported that Dangote was interested in buying a 16 percent stake in Premiership side Arsenal belonging to Lady Nina Bracewell-Smith. Dangote later denied these rumours. In 2014, the Nigerian government said Dangote had donated 150 million Naira (US$1 million) to halt the spread of ebola.